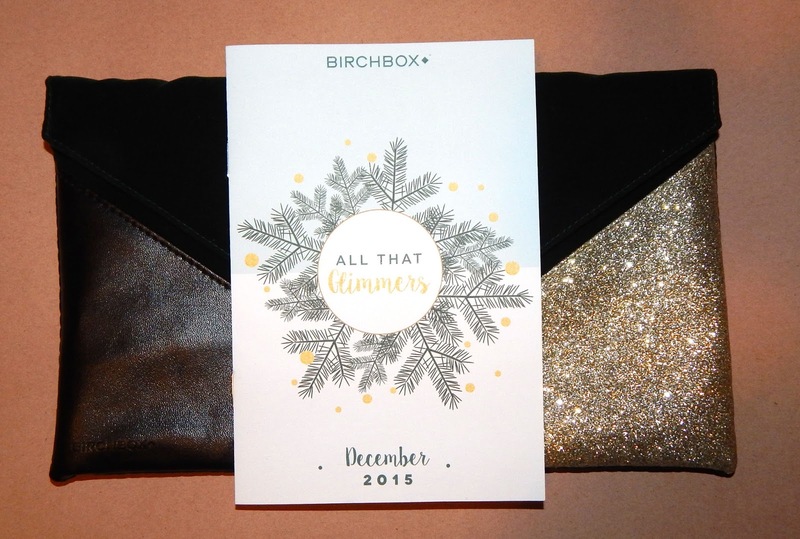 This months Birchbox was in the form of a BirchBag, instead of a box subscribers was sent beauty items in a lovely clutch bag which was a great festive treat. 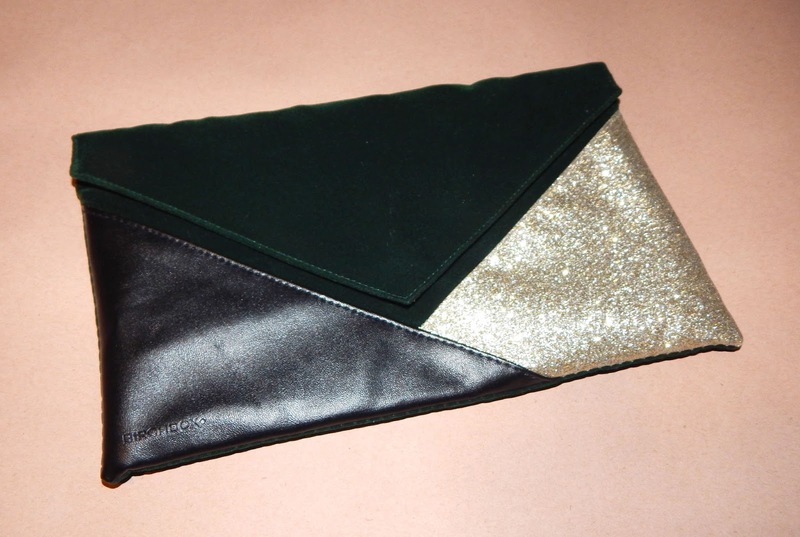 The bag is made up of velvet, faux leather and gold glitter fabric, there is enough room inside to put the necessary items in, the clutch has a button fastening and loops for you to add a strap if preferred. 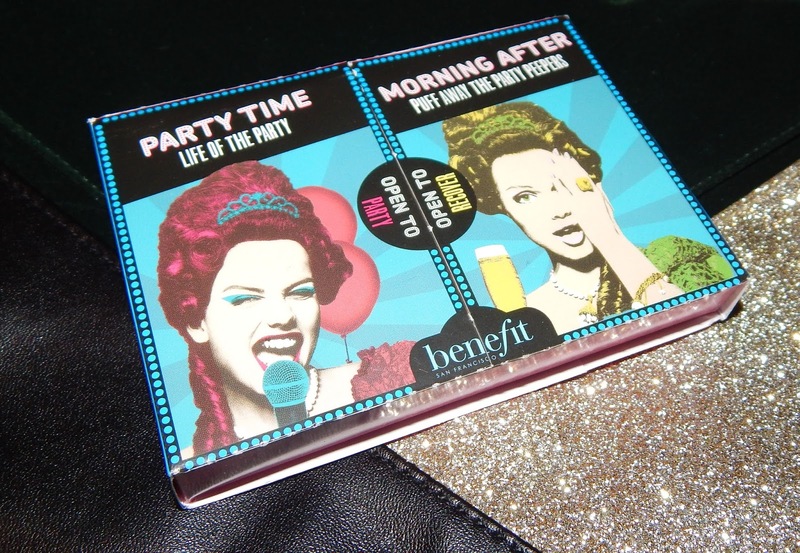 This twin pack sample size Benefit treat has the They're Real! Push Up liner and Puff Off! Eye Gel inside. 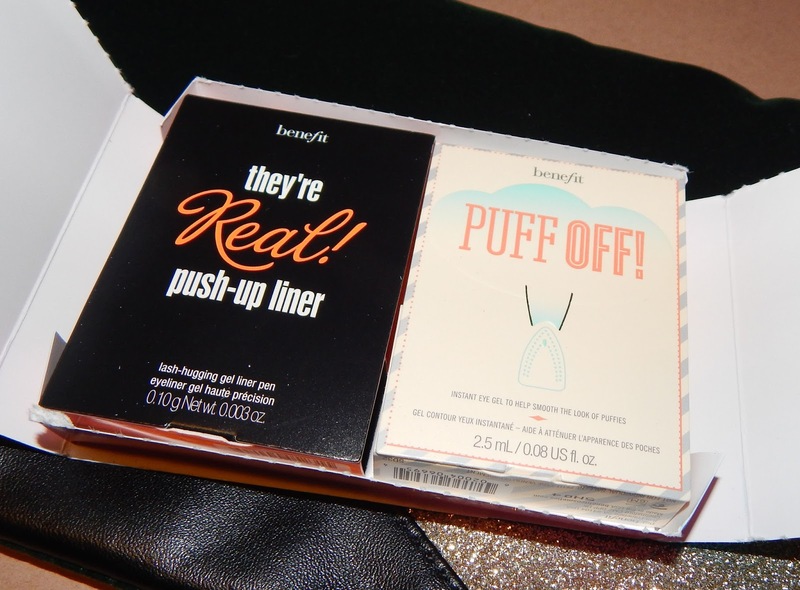 I'm already a fan of Benefit products including the push up liner however I've never tried the Puff Off eye gel before. I've been applying this gel after I take my makeup off to under my eyes, the purpose of the product is to minimise the look of puffy eyes and give a smoother look once applied. This product actually works, the appearance of my eyes in the morning after applying and even at night after removing my makeup is smoother when wearing this gel. I will be purchasing this product once I've used up my sample! 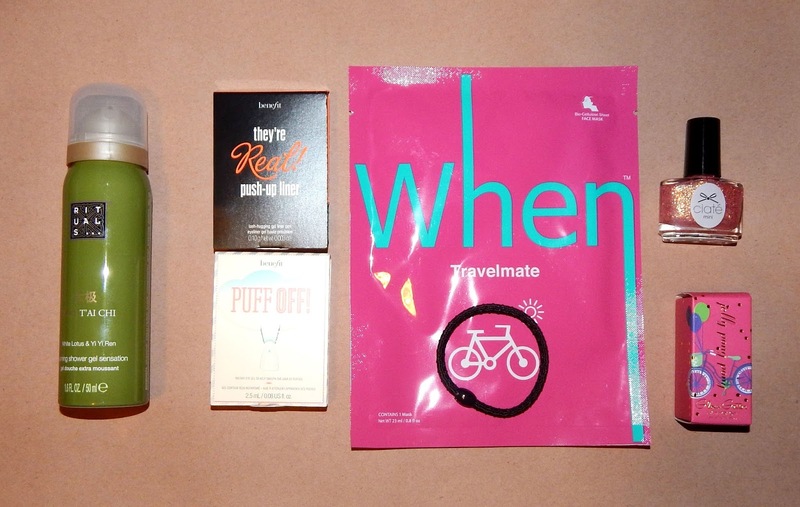 This month I received a face mask in this sub box and my Glossybox too, you can read that post here. I think in the winter months every ones skin need a boost so using face masks more regularly at this time of year is a plus especially for me. What I do love about these sort of masks is that there is no messing around pasting products onto the skin, you literally have to wash your face then pop the mask on. Its really easy to use and feels great on the skin. The coldness of the product refreshes the face and skin too. I've never tried this brand before but I have heard about it, the shade I was sent was a glitter shade which put me off at first. I tend to stay away from glitter nail polishes for the simple reason you always need more than one coat to see the effect of the glitter. 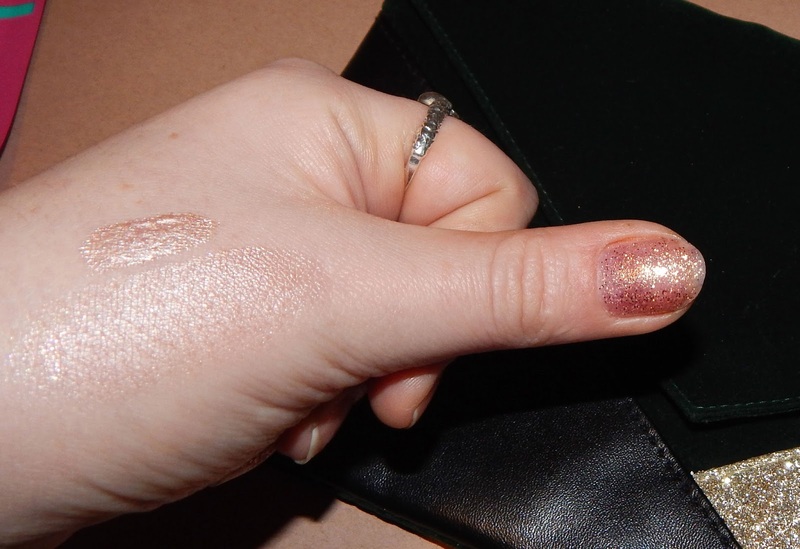 This Ciaté polish is really good quality and you only need one coat to see the glitter, I was so surprised! Another added extra is that the polish dries really quickly too so there is no waiting around for your nails to dry. I'd love to try some of the darker shades to see if you only need one coat of them too! Here is a nail swatch of this polish after just one coat... also on my hand is the next product Jelly Pong Pong Glow Getter Luminizer Gel. I'm still learning the art of contouring so luminizers are still quite new to me and I've never used a liquid luminizer until now. The bottle looks like a nail polish and has a brush just the same as a polish. The brush makes it easy to apply to the areas you want to highlight and then you can blend out with your fingers or a makeup brush. 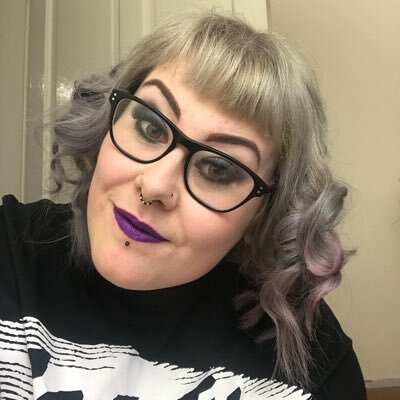 The overall effect from one application isn't in your face, its a subtle shade but could be built up with more product. I've used one or two products from Jelly Pong Pong before and admire that they are a cruelty free brand. Foaming shower gel is quite a good value product because you only need a small amount, because the products is a gel when it comes out of the canister a small amount foams up loads. 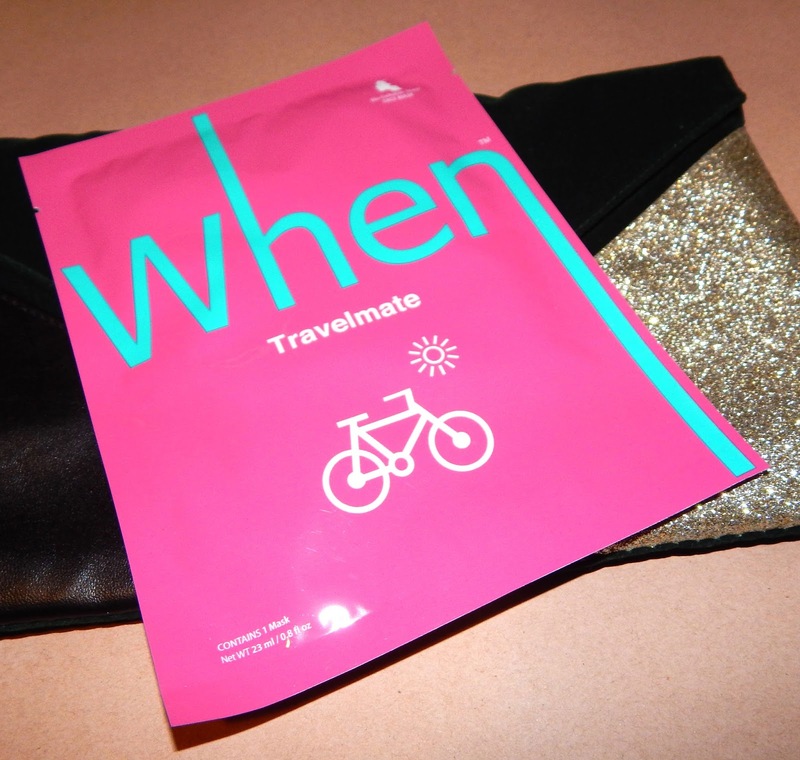 Meaning you can get a lot out of a travel size product too. The scent is very floral but not too over powering and lasts a long time on the skin. I find the white lotus scent calming so this is great to use in the shower before bedtime. Personally I think to receive just one bobble is a bit poor, I would of liked at least 2 bobbles in the bag as a beauty bonus. 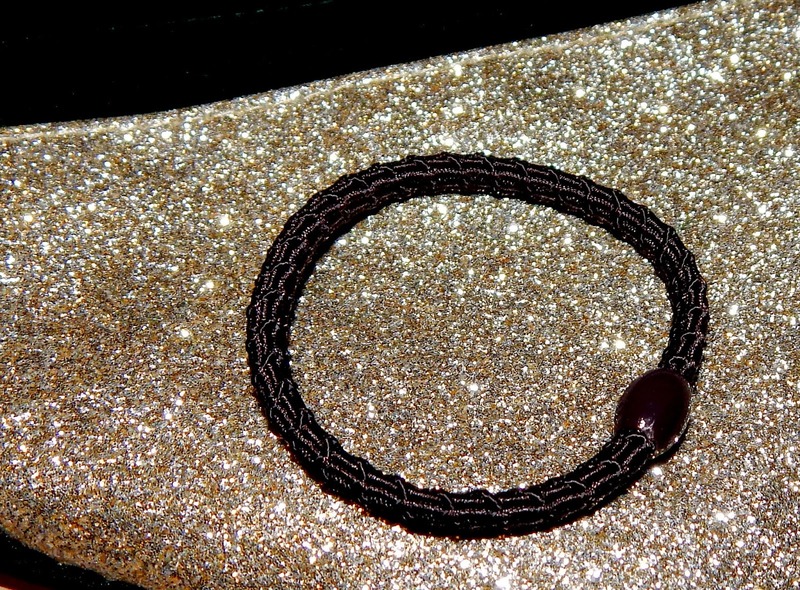 However this bobble is very sturdy and doesn't snag my hair which is a good thing and I like that its black this goes well with my dark hair. Overall with the Birchbag as an extra treat, I'm happy with my Birchbox subscription and especially the Benefit products in this months bag. I like trying new products out but getting some favourite items as well every month makes this sub box great! Thanks Birchbox! I look forward to my next box in the new year! Thanks for reading, the nail polish is amazing I'm planning to buy more from them because the coverage is great! Jelly Pong Pong are so under-rated, I've loved all the products I've had from them, I first discovered them at the Clothes Show!